Name* of sales rep, appointment setter, or team leader who should receive the prize. The deal(s) you closed using Wendover leads OR your biggest deal (company name + amount) closed using a Wendover lead OR the list of appointments set using InsightPRM. Deals/appointments must be from Jan 1, 2014 to Dec 31, 2014 only. *We will keep winners anonymous unless you ask to be named. -One prize per company. You may enter more than one category but cannot win in multiple categories. -Winners are chosen at the discretion of Wendover Corporation (“Wendover”). We will call to verify the accuracy of all deals. All winners are final. No entry received after the deadline of 11:59 am on January 15, 2015 will be considered. -Winners will be notified on or before February 1, 2015. In order to claim a prize, winner must be a current Wendover customer as of the date of February 1, 2015. 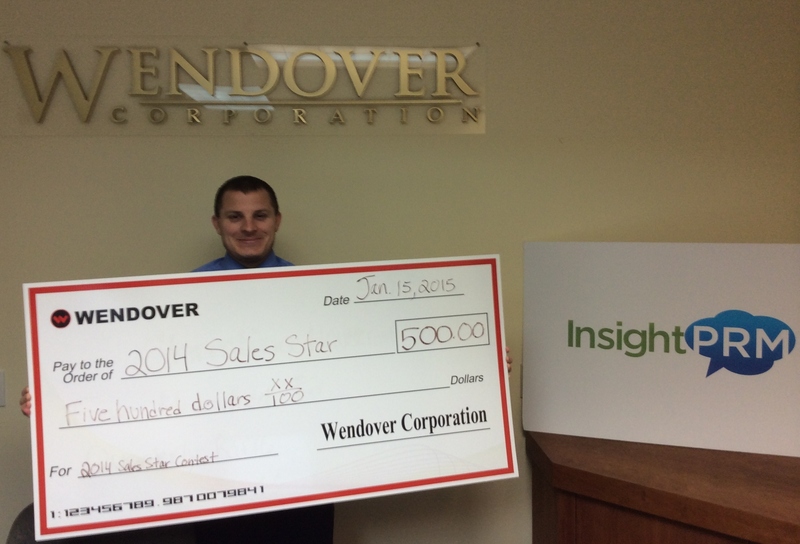 -By participating in the 2014 Sales Stars Contest (“the Contest”), each participant and winner waives any and all claims of liability against Wendover and its employees and agents for any personal injury or loss which may occur from the conduct of, or participation in, the Contest, or from the use of any prize. -Each winner is solely responsible for reporting and paying any and all applicable taxes related to the prize(s). -Wendover will award the prize to the individual named in the winning entry. Distribution of prize money among members of a team is solely the responsibility of the winner.